Heartfulness meditation is based on the Raja yoga system, according to which, one’s spiritual practice takes him/her to three stages – liberation, realization and mergence with the infinite, says the modern saint and teacher of Heartfulness, Shri Ram Chandra of Shahjahanpur. Liberation from what? Realization of what? Mergence with what? We wonder until we get liberated, we wonder until we realize, we cease to wonder when we merge, because we are ‘that’. Slightly confusing, isn’t it? So let me tell you a story. There was a doll made of salt, which went on a long pilgrimage on the dry land. When her path encountered the sea, she was amazed. The ‘ground’ of the sea was fluid, and shone brightly under the sun. The surface of the sea was enigmatic, and our beautiful salt doll wondered and wondered what that could be. “What are you,” asked the doll hesitatingly. “I am the sea,” whispered the sea. “What is the sea” asked the doll again. “Touch me and you will know,” said the sea. The doll extended her fingers and touched the sea. It was a very beautiful feeling. After a while of enjoying the feeling, she tried to withdraw her fingers, but was horrified to find that there were no fingers, because the fingers of the salt doll had dissolved in the sea. “Alas, where are my fingers,” shrieked the doll. “You sacrificed your fingers to understand me a little bit, but did you not enjoy the feeling,” asked the sea calmly. “Yes, I did so, but I have still not understood the sea fully,” replied the doll. “Then, come, let me show you,” said the sea gently. The doll waded slightly into the sea, and its toes disappeared. The initial fear also slowly faded. “But what is the sea,” she asked again. “Yes, but what is the sea?” and she went inwards deeper. She dissolved more and more in the water, and she understood a little bit more about the sea every time. Her realization deepened and deepened and finally there was just a tiny crystal of salt remaining. “I am the sea,” said the salt doll with awe, before completely dissolving and merging into the salty sea. After the dissolution, she did not have the feeling of “I-ness” too. Because she was infinite, she was complete, and she was ‘that’. Until the state of enlightenment comes, one always wonders. Wonder is good, because that births the process of “doing”. What is Yoga? It is the perception of Reality. What is the soul? It is the spark of Reality. After reading the story and these statements by Ram Chandra, one can be tempted to come to the conclusion that reality is the perception of the state of mergence. The soul when merged in the Ultimate, finally “realizes”, and soon that also fades away. In the novel, “Childhood’s end” by the British writer, Arthur C. Clarke, the same concept is explained in yet another captivating manner. Aliens invade earth. The alien representative called, “Overlord” announces that he intends to create earth into a beautiful utopia fit for earthlings to live, and so, a golden reign ensues for many years. But humans do not see the overlords and keep wondering who they are and how they look like. The Overlords continue to refuse to show themselves. Some humans protest this imposition (though it has given them a better earth), and live in a separate colony. A small boy in this colony was saved by an Overlord from drowning, during a freak accident. He senses the seed of the coming transformation in the boy. Later the boy exhibits telepathic and telekinetic abilities. Eventually all children in the island exhibit these qualities. The children lose their identity because of their telepathic abilities and become a collective ‘one’ mind with other children. After a few generations, the entire human race becomes part of the “Overmind”, or cosmic mind of the universe, which had sent the overlords to reengineer the race of earth. Now the people of the earth (in its collective entity) know that they are part of “it” and there is no more knowing, because they are the Overmind. This story shows that mergence brings about an understanding of the realization. Until then, we wonder, with curiosity and ignorance. Yoga is that “doing” or the state of activity which can initiate the 3-stage process (liberation, realization, mergence) leading to ultimate mergence. Yoga is derived from the Sanskrit word, “yuj” meaning “to-unite”, it is the process which unites or merges. Yoga is the first step, in any understanding. An act of yoga helps expands our perception. A repeated practice of yoga, helps develop this perception into an understanding, leading to realization. The very act of physical exercises leads to an exercise of the mind, and an exercise of the heart – which is meditation. The activity of meditation on the heart helps in opening up a deeper awareness of everything around us, and most importantly within us. A highly skilled yogi or a Master yogi (like the Overlord in Clarke’s story), in his consciousness is so much more evolved, and this guide’s heart is as big as the heart of the universe, helping in Universal evolution. Well then, let us look at smaller units of this idea. A mother’s heart is the heart of the home, isn’t it? A mother always knows best what to do for everyone at home. Even though there are different styles of parenting and different understanding of the roles and responsibilities of mother, this mother’s heart is the same across continents. No one can deny that. And perhaps this is the essence of the heart of a master yogi too. A book, “Role of the Master in Human Evolution” written by Parthasarathi Rajagopalachari is of keen interest in explaining this idea lucidly. Let us commence work on our hearts, with the help of yogic transmission, whose source is from the heart of a master yogi. This yogic transmission is imparted during a session of Heartfulness Meditation. Practices such as Heartfulness Yoga, Heartfulness Relaxation and meditation helps one to unite himself/herself to his deepest state of being. That union with the self can result in a better understanding, a clear realization, and ultimately take us on to the path of mergence with our Higher, Superior, inner Self. 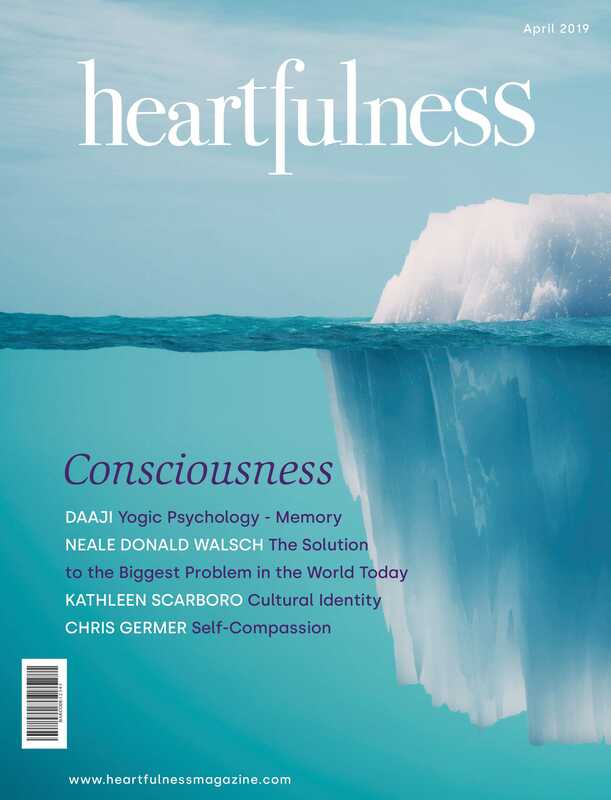 – Article by Purnima Ramakrishnan, Heartfulness Trainer from Chennai, India. She can be reached @puma_vinod. Beautifully written and a good explanation about Realisation.